DAVID LE/Staff photo. 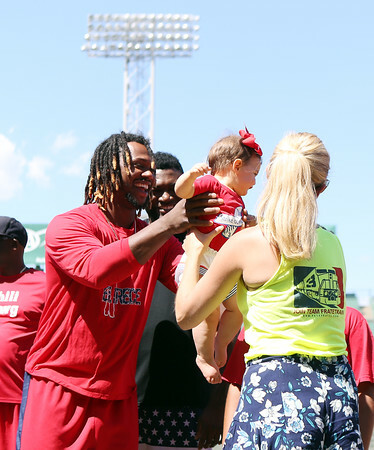 Boston Red Sox left fielder Hanley Ramirez hands Lucy Frates back to her mom, Julie Frates, during the Ice Bucket Challenge kickoff held at Fenway Park on Friday afternoon. 7/31/15.